Whether pancakes are a treat for Pancake Tuesday, or a Sunday brunch staple, they’re something that almost everyone loves. They’re delicious, perfect for any meal, and are even tasty to eat leftover as a snack or on the run! We’ve been known to use them as toast the next day (put them in a toaster) and top them with avocado or hummus. The only problem is that with eggs, milk, and processed batter in a typical pancake, they aren’t exactly healthy. 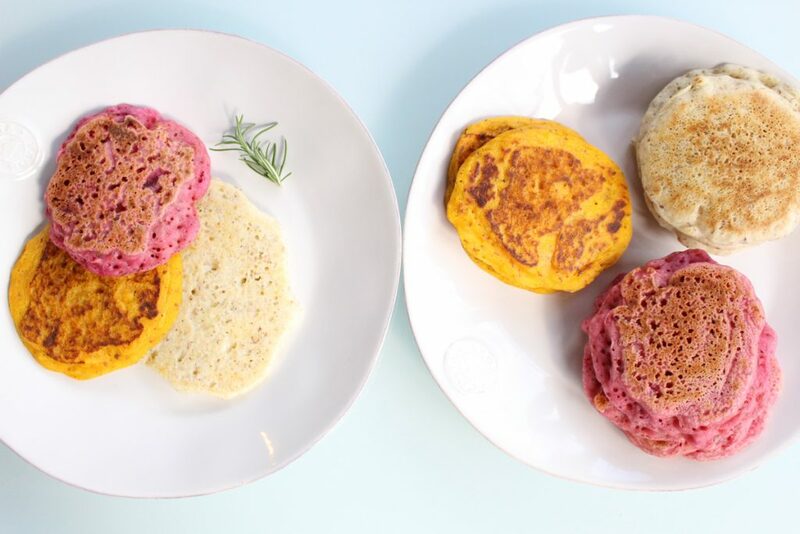 That’s why we’ve decided to make this plant-based alternative that you’ll love (probably even more than regular pancakes). Try this fun recipe with hits of root veggies and fun colours and let us know what you think! Boil beetroot, sweet potato and white potato until they can be pierced by a fork. Peel all vegetables and puree each root vegetable separately using a food processor or blender. In a medium bowl, whisk together dry ingredients. In a small bowl, whisk together wet ingredients. Pour the wet ingredients over the dry ingredients and whisk until smooth. Separate the pancake batter into thirds (approximately 3 x 2 cups) and add to each of the root vegetable puree bowls. Whisk together until blended, feel free to add extra nut milk if any of the batter appears to thicken too much. Cook for approximately 3-5 minutes. 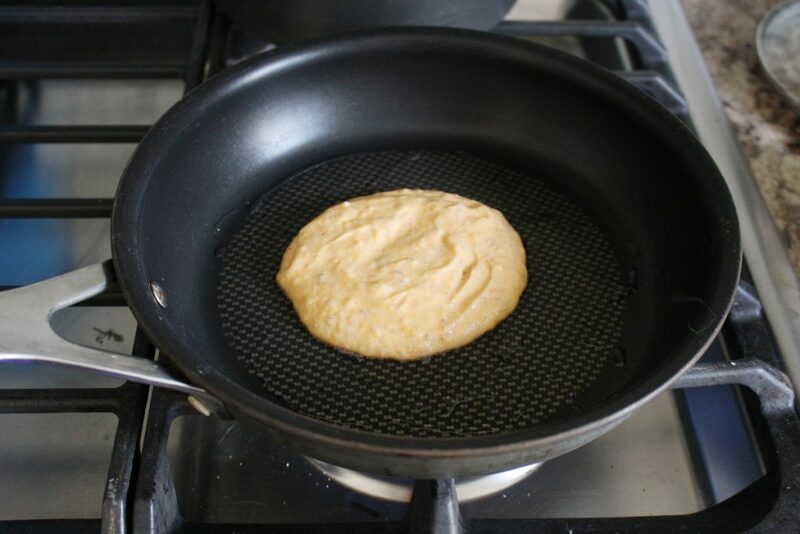 Flip pancakes when bubbles appear all over the surface of the pancake and begin to pop. The pancake should begin to look almost dry. Flip and cook another 1-1 1/2 minutes. Serve with melted vegan butter spread, salsa or a salad! Extras can be frozen and popped into the toaster for later use!